A Zanu PF politburo meeting is underway in the capital at the party headquarters in Harare this Wednesday. 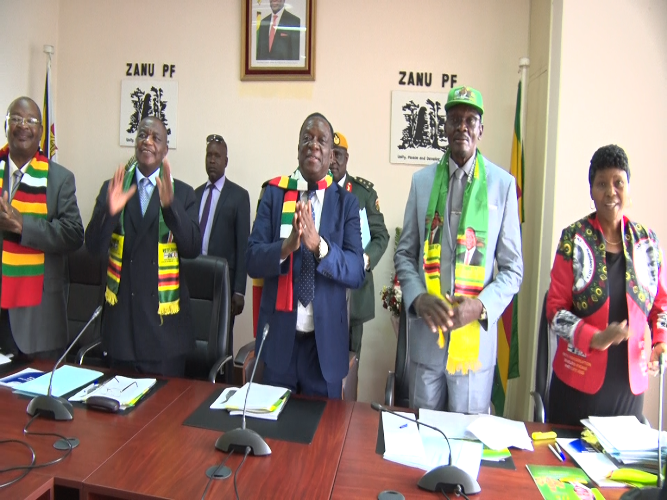 The meeting takes place in wake of the recent violent demonstrations in different urban settings of the country and have been roundly condemned by the President, Cde Emmerson Mnangagwa and progressive forces that want to see unity and development in the country. The meeting also takes place after the ruling party held its annual people’s conference in December. The two vice presidents and other senior members who form the highest decision making organ in the absence of congress are all in attendance. The party is also expected to get updates pertaining to home affairs, state security and disciplinary issues and other pertinent issues relating to national development.